The landscape of Greater Phoenix is going to change dramatically in 2018. Here are 40 innovative commercial real estate companies that are changing the shape of Arizona. The seventh largest multifamily manager in the U.S. remains bullish on the multifamily market after 2017 when it built over 7,000 apartment homes across more than 20 communities nationwide within urban cores like Greater Phoenix, which is now home to seven luxury multifamily communities and includes the current construction of Broadstone Roosevelt Row and Broadstone Lakeside. It’s part of The Walsh Group, a 119-year-old family-owned general contractor specializing in the water, transportation, civil and building sectors. At a planned expansion and upgrade project of the White Tanks Regional Water Treatment Plant, Archer Western is installing a CoMag system for a drinking water facility – the first of its kind in the nation. It uses magnetite to settle chemical floc up to 30 times faster than conventional treatments while extending equipment service life. ARCHSOL was the architect of record on the expansion of the YUMA Regional Medical Center. Last year, the architecture firm won the RED Award for Best Healthcare Project, ENR Southwest Best Healthcare Project and Excellence in Safety awards and AZASLA Landscape Honor Award. The team also recently became the only fully certified Lean Green Belt organization in the industry, according to IISE. In doing so ARCHSOL is adding value, quality and improving processes for clients and the firm, which prides itself on being a strong project partner and ideal place for aspiring like-minded professionals. Founded in Phoenix in 1919, the company opened a new showroom and worklab in the Roosevelt Row District of Downtown Phoenix in late 2016 and a West Elm Workspace showroom on the second floor in 2017. Housed in a former Packard showroom, the environment is designed to nurture physical, cognitive and emotional wellbeing, and is thoughtfully aligned with its organizational purpose to provide optimal climate for engagement. The zoning and land use firm is working on game-changing developments across the Valley, which most recently included securing multifamily entitlements at the base of South Mountain for Grayhawk and guiding Maracay through the site plan approval process in the same area. The firm is known for its success in zoning and staffs two urban planners for assisting with approval processes. The privately held investment firm, led by a group of executives and directors who are all investors in the company, exists to provide investors with reliable returns from a diversified portfolio of assets. Black Mountain has grown into an investment firm with a $18 billion portfolio, which includes national aerospace companies, commercial real estate centers, a construction company, various debt instruments, single-family residential holdings, land for future development and equity in a real-estate brokerage. Entering its 22nd year, BDG has received the NAIOP Architectural Firm of the Year award 12 times, plus numerous other industry awards. 2017 was one of the firms most successful years, and 2018 promises to be even better. Notable projects include the RIVULON office campus, SkySong Innovation Center, 2100 Rio Salado, Freedom Financial offices, Benchmark Electronics HQ and the PV303 Industrial masterplan with various projects built, under construction and/or on the boards. The multifamily investment and development division of Chicago-based CA Ventures, in a joint venture with Diamond Realty Investments, Inc., have started construction on The LINK PHX, a 257-unit residential tower in Downtown Phoenix. Scheduled to open in August 2019, the 30-story tower represents the first phase of a three-phase mixed-use development that will bring more than 600 rental residences and 21,000 square feet of retail space to the renowned Roosevelt Row Arts District over the next 15 years. The access investors have to direct ownership opportunities in off-market, private equity CRE projects sets Caliber apart. During 2018, the full-service RE investment firm projects to top $500 million in assets under management. Projects include a new hotel in Downtown Tucson, various infill projects and the opening of two Net Zero Energy multifamily communities. Meanwhile, Caliber is gathering investor interest under Regulation A+ of the U.S. Jobs Act for going public in 2018. From pre-development consulting to full-service community management, CCMC’s steadfast commitment to creating experiences that connect people has produced remarkable results. 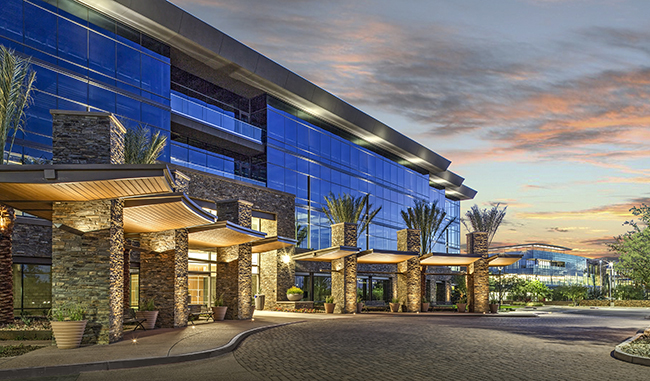 The company has grown to more than 800 employees, who serve more than 200 of the nation’s most successful master-planned communities including Desert Mountain, Grayhawk and Power Ranch. Indeed, half of Ranking Arizona’s top ten master-planned communities are managed by CCMC. During 2018, Cresa celebrates its 25th anniversary as a commercial real estate brokerage firm, focusing exclusively on the corporate user of office and industrial space. Cresa spans over 58 offices globally with more than 1,200 employees, making it the largest tenant representation firm in the world. It predicts continued consolidation of full-service firms will push corporate clients to work with firms like Cresa, which cater to their needs without a conflict of interest. Last year, the brokerage firm consolidated its Phoenix operations into one location, focusing on connectivity to its clients and to each other. The firm’s year-over-year revenue growth was upward of 10 percent and the firm projects the same growth rate for 2018. 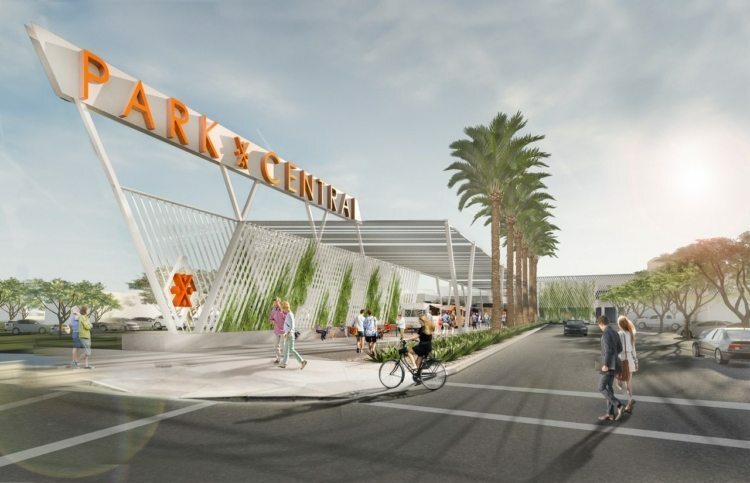 This year, it will work on some of the Valley’s most notable upcoming projects such as The Watermark | Tempe, TCA Technology Park, Park Central Mall, One Scottsdale, One Hundred Mill and Arizona Center. This year, DLR’s design team is leading the massive adaptive reuse project for Maricopa County’s Madison Street Jail, turning it into offices and revitalizing Phoenix urban core. Additionally, DLR’s integrated team of designers and energy experts are innovating cooling and heating methods at Agua Fria Canyon View High School using phase-change materials in collaborative research and curriculum development with the school district and ASU. Since opening its doors in the Valley in 1994, DPR Arizona has completed 315 projects spanning healthcare, advanced tech, higher education, commercial and life sciences, ranging from $5,000 to over $300 million. The company’s local office was the state’s first commercial net-zero building and is currently home to 351 employees. 2018 project starts include Park Central Mall renovations, ASU Health Solutions Innovation Center at the Mayo Campus and UA College of Pharmacy Skaggs Building. In 2016, Graycor officially transitioned its Phoenix office from Nitti Graycor to the Southwest Regional Headquarters of Graycor Construction Company. Their goal throughout: to maintain a decades-strong Phoenix reputation while introducing Graycor’s full platform of office, industrial, retail and hospitality resources. Since then, Graycor was named design-build lead for Camelback Collective, completed the new Orbital ATK building at Gilbert Spectrum and won two Best of NAIOP major industrial awards for TI and Spec Project of the Year. The privately-owned global real estate investment firm with roughly $100 billion of assets under management razed Elevation Chandler, an unfinished local eyesore in 2014, to make way for Chandler Viridian, a 25-acre mixed-use development that will include the Offices at Chandler Viridian, a new luxury Cambria hotel, luxury apartments at Broadstone Fashion Center, retail offerings at Chandler Viridian PRIMEGATE and a pedestrian promenade to the Chandler Fashion Center mall. HFF has been active in the local Phoenix market for decades, and in July 2016 officially planted the HFF flag by opening an office to serve the greater Southwest region through its transaction expertise, including debt and equity placement as well as investment sales services and access to global capital. The real estate investment firm, headquartered in Tucson, focuses on the successful acquisition, repositioning, redevelopment and disposition of real estate assets, which now includes Phoenix’s first mall. It purchased a significant portion of the iconic Park Central Mall with Plaza Companies in October and announced a $57 million renovation. In 2017, JLL added key new service lines like healthcare and NNN lease investment brokerage, and expanded its Property Management and Project Development Services groups, which JLL will continue to grow in 2018 and beyond. It also enhanced its one-stop-shop sophistication with specialized expertise that clients often need to manage the full spectrum of their real estate transaction. Among these value-add service lines are: valuation and property tax, capital markets financing and financial analysis. The owners behind mixed-use developments Agritopia and Barnone will develop Epicenter on 19.7 acres in Gilbert. Epicenter will encompass 55,000 square feet of retail space and 287 residential units, totaling 300,000 square feet in four different four-story buildings. Comcast in Tucson was once a mall before it was redeveloped with Jokake Construction serving as the general contractor on the project. Named the 2017 RED Contractor of the Year and a Best Place to Work, Jokake Construction celebrates 35 years of business in 2018. This year the company plans to expand its local and regional clientele and project portfolio to include a robust pipeline of healthcare, office and industrial opportunities. The company is on track to do $100 million in revenue, which is consistent with the average 33-percent annual increase it has seen since 2014. Layton celebrated its 30th anniversary in Arizona in 2017 with record-setting results. With a strong backlog and diverse set of projects across many segments of the market ranging from hospitality, healthcare, office, industrial and public works to tenant improvement, Layton is on track to significantly outperform those results in 2018. LGE Design Build will enhance and energize the way Arizonans and visitors alike spend their free time around the Valley in 2018 and beyond with the completion of four neighborhood-changing entertainment districts and further revitalization of Downtown Gilbert. Overstreet in Chandler, The Collective in Tempe, Chauncey Lane in Scottsdale, The Grove in McCormick Ranch and two new buildings in the heart of Downtown Gilbert will bring a combined 230,000 SF of mixed-use developments to Greater Phoenix. The Liv portfolio currently consists of six communities with two located in Michigan and four in Arizona (Liv Ahwatukee, Liv Avenida, Liv Northgate and Liv North Scottsdale, above). Investment Property Associates (IPA), a leading owner-operator of luxury multifamily communities, and Retirement Community Specialists, Inc. (RCS), a leading operator of luxury senior living communities, have unified under one company name, Liv Communities. Since merging in 2014, RCS and IPA have worked together under the direction of a combined executive team to offer the full range of luxury apartment lifestyle options for all ages and stages of life. Under Liv Communities the company will continue to focus on expanding its two brands, Liv Multifamily and LivGenerations Senior Living. LPC has parlayed a record 2016 into a stellar 2017. Current landmark efforts include serving as the exclusive office developer for The Grand at Papago Park Center, renovating the historic Luhrs City Center in Downtown Phoenix, rapidly filling the last of four buildings at the LPC-built Waypoint office campus, and developing the just-announced, 40’ clear-height, fully-speculative Lincoln Logistics 40 industrial project – all while providing forward-thinking property management for a 6-million-square-foot regional office, industrial and retail portfolio. Its Arizona portfolio includes over nine-million SF of the most iconic retail properties, including Scottsdale Fashion Square, which is undergoing a multi-phased, multi-million-dollar renovation to its luxury wing. Additional plans call for the development of mixed-use elements such as high-end residential units, class A office space and a hotel, which has worked to further extend the customer base and sales potential for retailers within other shopping centers owned by Macerich in the U.S.
Tanner Milne founded Menlo Group CRE in 2008 as a full-service commercial real estate brokerage that services the industrial, retail, child care and general, medical and dental office markets in Metro Phoenix. As a leader in the East Valley office, medical office and office condo markets, Menlo has helped many of the Valley’s top doctors and dentists locate space while negotiating favorable deals in their behalf. Arizona’s first crowdfunding real estate company for exclusively multifamily projects was launched in October by three local apartment real estate veterans. The company allows all Arizona residents the opportunity to be shareholders in apartment projects in the Phoenix area for a starting investment as little as $1,000. In addition to dropping the “Grubb” from the company’s name earlier this year, NKF is expanding its capital markets presence in Phoenix with the addition of CJ Osbrink as executive managing director. With overall office vacancy dropping to a 10-year low in Phoenix, NKF predicts a continued influx of capital to the market. The Avondale-based commercial real estate brokerage firm is made up of agents that are all either CCIM Designees or working towards their CCIM Designation. As Certified Commercial Investment Members (CCIMs), its brokers are recognized as experts in the commercial and investment real estate industry that are proficient in both theory, but also in practice. The full-service construction management firm continues to push leading-edge technology, including building information modeling, topography scanning drones and room scanning capabilities using cellphones. Already, BIM and data mining has had a major impact on the complicated, 499,147 SF Ball Corporation Facility at PV303. In addition to simplifying communication between the project team, the data mining helped subcontractors on site to compress the schedule and create significant cost savings for the client. Known as The Square and located in the heart of Cadence, the 12-acre community center will include a café, visitors center, great room and meeting rooms, event and sport lawns, resort-style pools, tennis and bocce courts, open areas, a garden area and multiple indoor and outdoor fitness areas. The construction management, land development, and real estate consulting firm was selected by Harvard Investments to manage the construction of Mesa’s newest 464-acre master-planned community, Cadence at Gateway, which when completed will include up to 3,500 residences, a charter school and other commercial space for retail and office. The Scottsdale-based real estate investment trust (REIT) received a $377 million investment, representing 9.8 percent of total shares outstanding, from Berkshire Hathaway CEO Warren Buffett in October, which was interpreted as a big bet on retail, in particularly, service providers and experiential retail that aren’t negatively impacted by e-commerce as more traditional merchandise-driven retail. AIA-Arizona’s 2017 Architecture Firm of the Year is a national leader in architecture and environmental design, renowned for highly sustainable and award-winning buildings for college campuses, urban multifamily, civic and cultural projects, including Scottsdale’s Museum of the West and Yuma’s Heritage Library. With unique expertise in developing innovative housing, the firm created Phoenix’s acclaimed artHAUS condominiums and a major science center concept for Arizona State University. In 2017 the company celebrated its 40th year of doing business and announced Founder and Executive Chairman Mike Watts’s retirement. With this change, Sumitomo Corp. assumed full ownership of the company, which will continue to be led by the founder’s son, CEO Chris Watts. Since 1977, the company has expanded to 61 locations in nine states, becoming the 24th largest rental company in the world. As advisors, the company uses a different lens with its innovative approach to clients’ needs through its specialists in disposition and acquisition services, financing, management, leasing, construction, marketing and design. Together, they have the tools, talent, relationships and experience to implement their client’s defined strategy. The development and investment company teamed up with Venue Projects to build Arrive Phoenix, a stylish boutique hotel and dining destination, at Central Avenue and Camelback Road. Expected to be completed in 2018, the $20 million adaptive reuse project spans over two-acres and 45,000 square feet. Dorsey Lane, developed by Watt Communities of Arizona, totals 51 contemporary, three-story urban townhomes located just south of the southwest corner of Broadway Road and Dorsey Lane in Central Tempe. Since entering the market, Watt Communities of Arizona mobilized $73 million worth of infill residential communities, providing upscale affordability in locations just off the Valley’s hottest corridors. Dorsey Lane townhomes in Tempe is built and sold out, and sales are robust at other multifamily projects including Biltmore Living, 32 North and 16 Ocotillo. Now under construction are 8th & Row, located within Roosevelt Row, and View 32 luxury apartments within the North 32nd Street Corridor. Country Gables was Western Wealth Capital’s 35th Phoenix property. The Canada-based real estate investment company is the second largest multifamily owner in Metro Phoenix by total number of units. Since 2011, WWC has acquired 34-mulitfamily buildings, representing almost 6,000 units, with a combined purchase value of $499.5 million. Established in 2012 with a focus on small-scale real estate investments, renovation, adaptive reuse, infill development and third-party advisory services, Wetta Ventures is at the forefront of real estate development and investment, combining a passion for real estate investing with a defined vision for adaptive reuse, renovation and infill development. The Yard is located at 5640 N. Seventh Street in Phoenix. Arizona’s largest exclusive land-use law firm continues to be the go-to zoning firm for complex infill residential development and adaptive reuse projects like those along the resurgent Seventh Street food scene. In 2018, the firm will lead entitlements for a 55-acre high-tech development in Chandler, redevelop entitlements for the Camelback Corridor, a new ultra-luxury resort in Paradise Valley and fresh entitlements for the long-awaited Fiesta Village in Mesa.